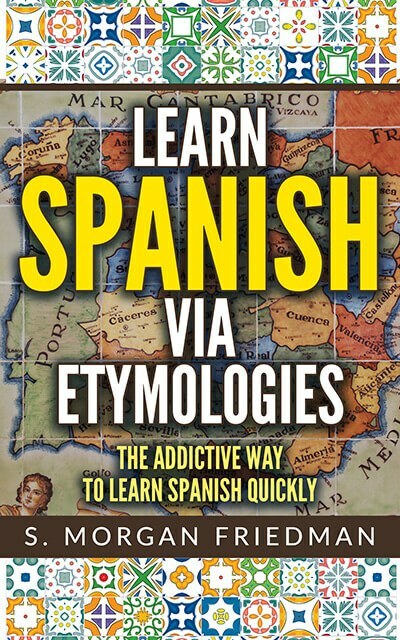 Spanish for “lie” (Mentira) comes from the Latin mandacium for the same, which in turn, comes from the earlier Latin menda for “defect; fault”. But the Latin Menda comes from the Proto-Indo-European root *mend- meaning the same, fault or defect. Thus we see an interesting transition over time: defect turned into lie. The word took on more and more agency: the problem didn’t just happen; it was an explicit lie! The same PIE root *mend-, in English, took a different route: via French, it turned into the modern English amend and amendment. Thus, in English, “defect” turned into the more accidental, less bad, “lets make a change!”. We can see the parallels easily: the m-n-t of mentira map to the (a)-m-n-d of amend. The d- and t- transformation is very common and the sounds often interchangeable. We also have the English mendacious that is a direct parallel to mentira… but everyone seems to have forgotten that word. Torcer, Spanish for “to twist”, as well as retorcer (meaning the same) both come from the Latin root torquere. From the Latin torquere, we also get the English… torture. You can see the t-r-k sound mapping to the English t-r-t, since the “k” sounds are very similar to the “t” sounds. Torture, after all, is just an extreme form of being twisted: mentally, physically, in all ways. From the same root, we also get the English… to thwart. Funnily enough, to thwart is–in a sense–the exact opposite of torture. Tractor: What is a tractor if not a machine that brings or drags machinery around the plot of farmland? Traction: What is traction if not something moving so quick that it drags everyone else up along with it? Note that the -h- vanished when the Latin turned into Spanish but became a -ct- when the Latin became English. Thus the t-r-[nothing] of traer maps to the t-r-ct of the English words. The English for azure — which is really just a shade of blue! — comes from the same root, although azure still retains a luxury connotation that was lost with the simple blue implication of azul in Spanish. Many languages, including Spanish, have an -l- and -r- shift, where, over time, the -l- and -r- sounds are swapped. We see this here, as the a-z-l root of azul maps to the a-z-r root of azure.